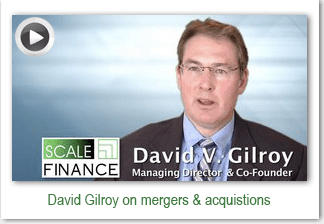 Scale Finance offers uniquely cost-effective advisory support for mergers and acquisitions (M&A) including company or division sales, sales of assets in Chapter 11 Bankruptcy (Section 363), recapitalizations, valuation or fairness opinions, and support in executing acquisitions for growth companies. Scale Finance drives professional, robust, and vigorously managed processes to get the best possible results in today’s M&A market.Allow us to provide a confidential, professional perspective on your company’s situation. Our Firm’s focus on the unique environments and needs of smaller companies with enterprise values typically under $25 million (and how to maximize “strategic value” with buyers). Horsepower Site Services LLC – acquisition and recapitalization by MCG Civil. Regional provider of specialty site construction services including grading, paving, underground utilities, sewer, erosion control, etc. First Warranty Group – company sale to Interstate National Dealer Services, Inc. (Goldent Gate Capital portfolio company). *D. Gilroy provided advisory support throughout sale process as Fullscope investor and Board liaison.